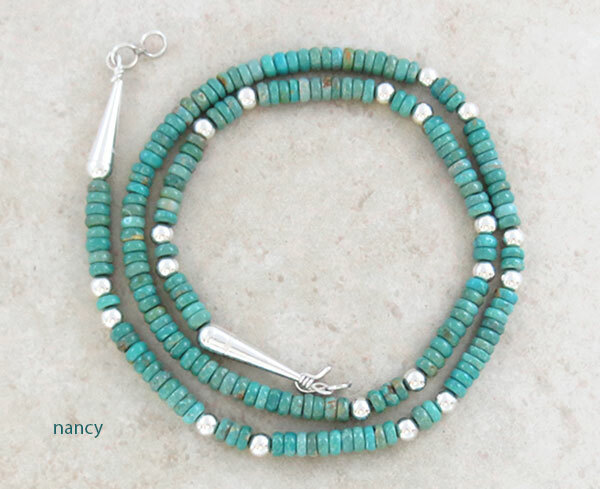 This necklace is 22" long and features greenish turquoise beads and accented with sterling silver beads. 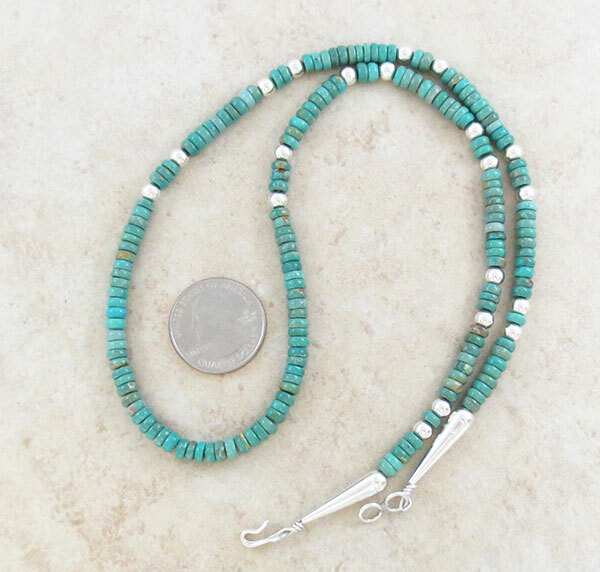 At the time of this listing I have 2 and they are virtually the same, beads design, etc. 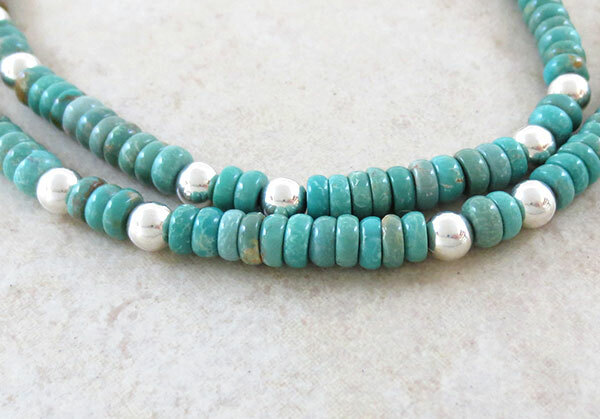 The turquoise beads are uniform and about 3/16". weight: 20 grams on my scale.